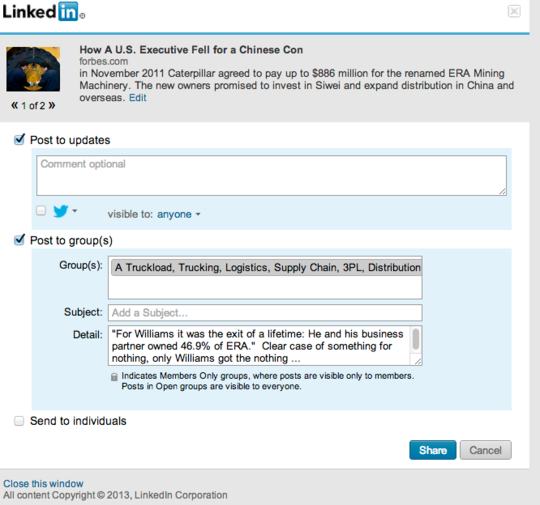 LI has announced that it will not allow group owners to deliver the News to their members using RSS feeds. 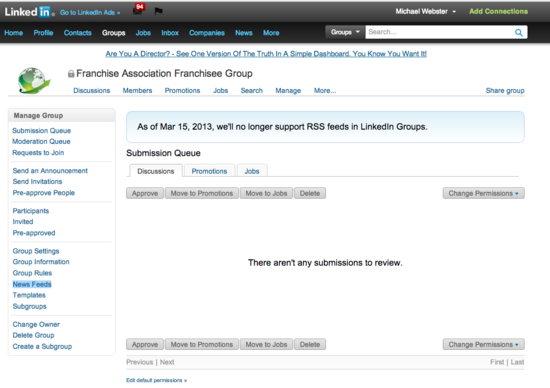 LI will stop supporting RSS feeds after March 15, 2013. There are no LI plans to allow a substitute for RSS. "No further content will be pulled into groups via RSS after that date, and the News Feeds link in the left nav of the Manage tab will go away, as will the homepage toggle to show or hide RSS discussions." LI has decided that there is only way way to promote dialogue, the LI way. "If you want to promote dialogue and sharing, feed content is not the way to do it." Some LI group owners, moderators and managers feel differently. And, if you are are one of them, please read on and comment on my workaround. We can make it work better. 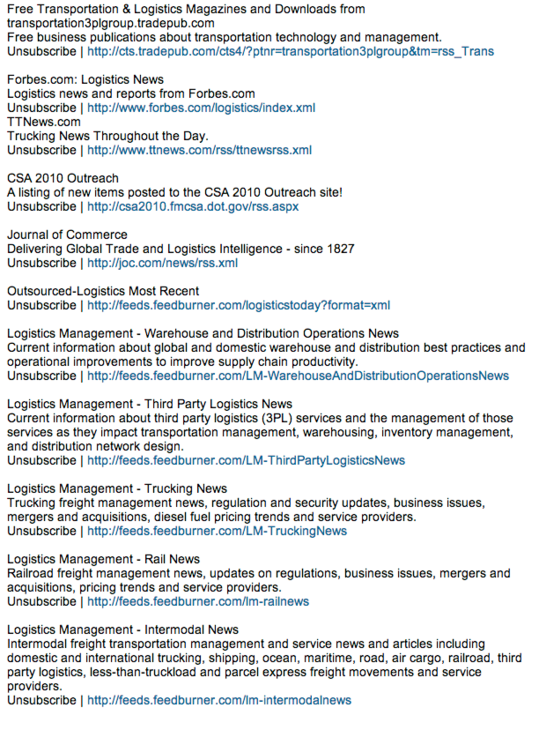 Here is a list of RSS feeds, John sent me via LinkedIn email. 3. 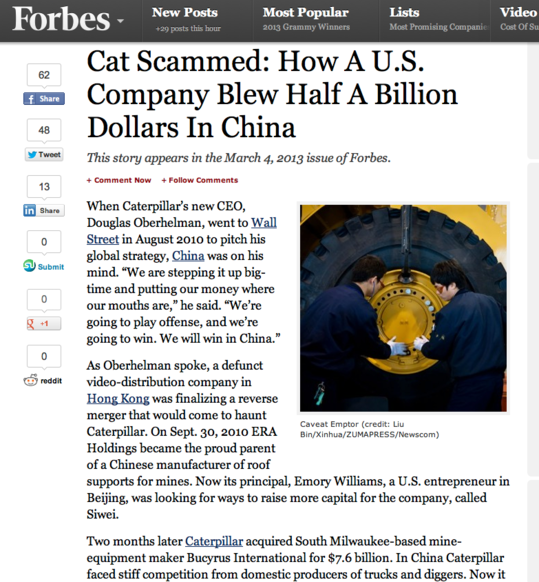 Copy and paste each hyperlink into your RSS reader. You will discover that some of your RSS feeds no longer work, and you might see screen like this or a some other error message. 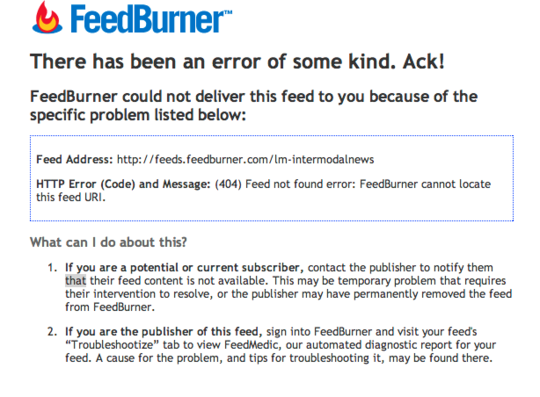 No worries, this means that the RSS feed wasn't delivering news to your LI group. It is likely that the RSS feed has simply changed. You need to go back to the source and find out where the RSS feed is now. 4. 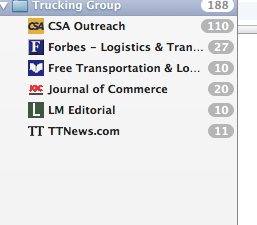 This what my RSS reader looks like after I subscribed to all Jon's working RSS feeds. 6. Finally, let's share it into Jon's groups with the appropriate headline and summary reflecting my take on the story, based on my own experience. I have changed the title, and found a couple of lines in the story which express what I think is interesting, and shared it with the group. 7. Many of you will have read this far and wondered how this was going to work. After, I just gave Jon a lot more work to do moderating his group! Yes and no. How does Jon get his readers in his group to help him moderate these RSS feeds. Simple: OPML. Happy to answer any questions in the comments below. Hope this works for you.